The golden era of Pirates lasted only a couple of decades and involved a few hundred men, but has become a legend that continues to fascinate. Long ago, the ship transport was the only way to get from one shore to another. The ships were carrying a lot of wealth and trading goods – a chance for the fearless sea warriors to get rich without much effort. Some of the pirate captains like Blackbeard or Bartholomew Roberts became legends and served as an inspiration for modern pieces of art, including both movies and pokie machines as the Lightning Box’s Five Pirates. 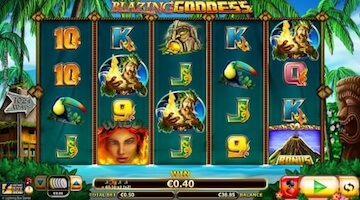 Lightning Box is a reputable software provider that creates both online pokie machines and games designed for traditional landline casinos. Their portfolio includes a couple of dozens of popular titles, of which some are enriched by the Stellar Jackpots rewarding feature. The Five Pirates pokie machine is developed is developed in Lightning Box gaming studio and is powered by the Cozy Games’ software. The game is compatible with a range of modern mobile devices, making for convenient gameplay on your Android, iOS or Windows powered smartphone or tablet. The Five Pirates is a 5-reel video pokie machine with no less than incredible 1024 ways to win – a specialty of the Lightning Box studio. In addition, you can benefit a lot from the built-in features including auto play, bonus rounds, multipliers, free spins, wild symbols and scatter symbols. In order to score a winning combination, you need to land at least 2 symbols of the same kind accompanied by the wild icon. You will find here a lot of themed symbols such as pirates, treasure chests, cannons and other, as well as low paying but very familiar J, Q, A, K and 10 symbols. The pirate icon is the game’s wild symbol and you can use it as a substitute for any other symbol, except for the scatter. It can appear on the 2nd and the 4th reel, providing more chances to form a winning combination. The exciting and rewarding Hold n Spin feature is activated when you collect 3 ,4 or 5 scatter symbols that appear anywhere on the reels. The entire screen will be covered with such symbols and you will get more chances to score large – up to 1.600 coins. 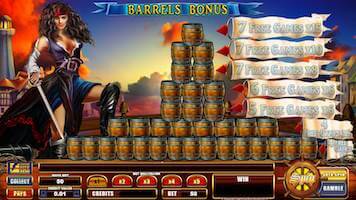 If lucky enough to get 5 scatters locked on the screen, the game will activate the Pirate Bonus round interactive game, where you need to pick one of the barrels in order to claim a cash prize – or to pick again. 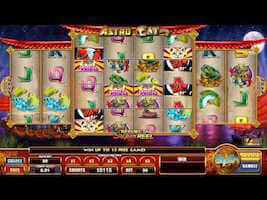 With more successful picks, you will be awarded with more free spins and multiplied winnings. This way, you can easily activate 15 free games with a 5x multiplier, 13 free spin games and a 6x multiplier, 11 games and an 8x multiplier, or 9 free spins combined with a 10x multiplier. The game offers a top jackpot prize worth $200.000 and you can use a variety of betting option to increase your chances for a win. The minimum bet amount starts from as low as $0.01 going up to $0.25 where you can use as many as 5 coins for the each spin. Set in the scenery of the Golden Age of piracy, the seafaring pokie machine from the Lightning Box studios comes packed with themed symbols, a nice background effects and a myriad of rewarding options including the Hold n Spin feature, the Pirate Barrel Bonus game, free spins, multipliers and bonus rounds. There is a possibility to play the Five Pirates pokie game on both your desktop and mobile devices, so you can try your luck in practically every corner of the Earth with an active Internet connection. 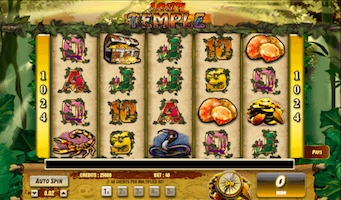 The top jackpot prize makes this game attractive to both casual and professional players.